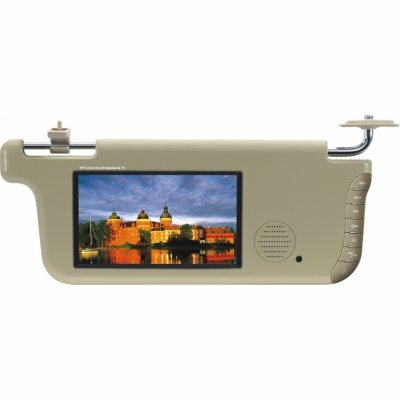 Successfully Added 7 Inch LCD Screen Sun Visor With TV Receiver - Right Side to your Shopping Cart. It is compatible with CATV all channels and built in TV receiver. This wholesale sun visor product has 7 inch LCD screen and able to receive video signal. It is able to circumgyrate a picture deasil or widdershins and will bring a lot fun to you.